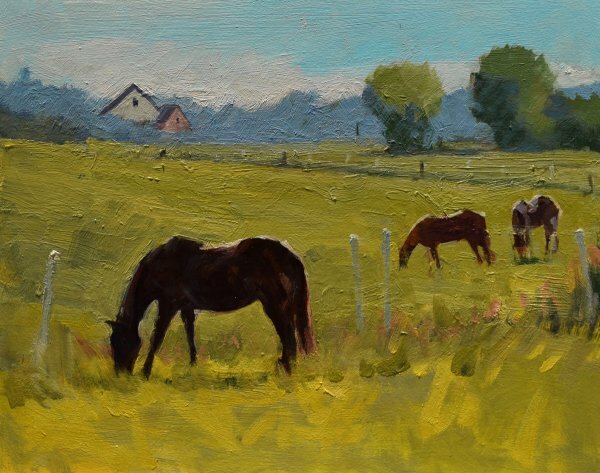 Original oil painting of horses in a field on a South Dakota farm. Painted on artist grade gessoboard with 7/8″ deep sides in natural wood. Ready to hang either framed or unframed. Horse paintings colorful. See more horse portrait canvas paintings here.